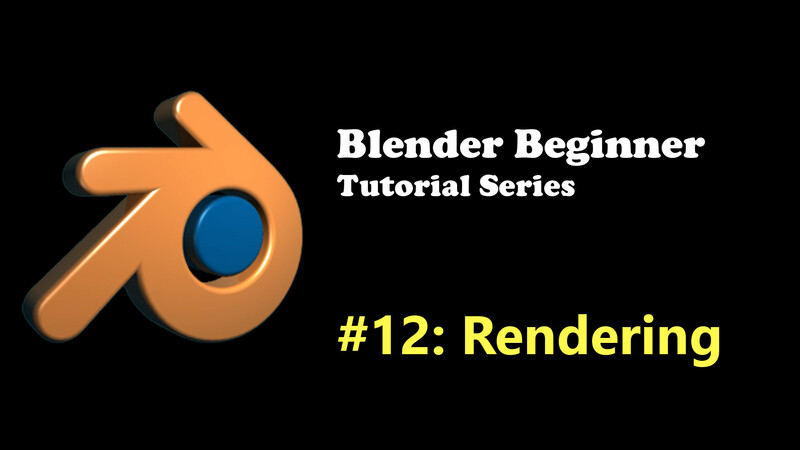 In this beginner tutorial, you will learn how to render stills or animations in Blender! 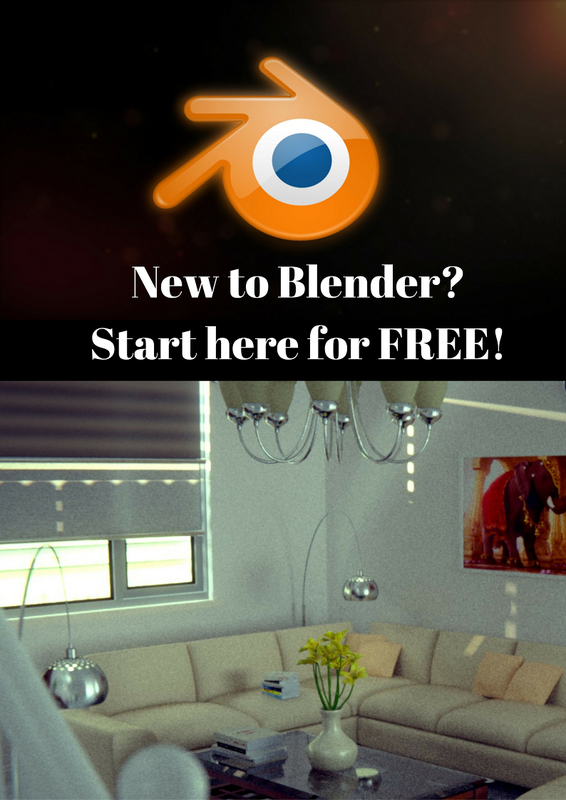 Rendering in Blender is very easy. If you want to render a still, press the Render button in the Render panel or just press the F12 key. Then when it’s rendered, you can save the image by opening Image -> Save as Image in the UV/Image editor window. If you want to render an animation, press the Animation button or alternatively, press Shift+F12. But, before you render anything out, you’d probably want to tweak a few settings to make sure your renders output the way you want it! The Dimensions settings is where you can set things like the final resolution of your render. For example, if you want HD resolution, you would set 1920×1080. Just below that where you see the 50%, that determines the percentage of the resolution that will render. So with 1920×1080 with 50%, it will render an image/animation that is 0.5 HD. The point of this percentage is for you to quickly create test renders without having to mess up your final render settings. You can also set things like the start and end frame, the frame rate of your animation and so on. If you render an animation, you need to set where the output will be stored. In the Render settings, under Output, this is where you set where you want your animation to be stored. You can also change the output type. If you leave it at the default PNG, it will render a series of PNG images in the output folder you selected. There are other different output types such as Xvid, H.264, MPEF, JPG, etc. Here’s what I usually do for my animations: When you render animations in Blender, it’s best to render to a series of images than a video clip. Why? Because if Blender crashes while in the middle of rendering a video clip, I have an incomplete video clip. Whereas with image sequences, if Blender crashes, I just reload and continue from the frame where Blender crashes. So I would choose something like PNG or JPG. Later on, once everything is rendered, I combine these images to a video clip (for which I then choose H.264). This is an important one: Sampling! Setting a higher sample value will give you less “noise” in your renders but will take longer to render. Less samples are obviously quicker with more “noise”. It’s best to find a compromise between the two. If you’re rendering a still image, then time shouldn’t really be a factor and you can get away with more samples. Render times are generally more important for animations and if you’re willing to wait that bit longer for an epic scene, then you can use larger samples. It’s all about compromise! Just below that setting is Preview samples. You can set how many samples you want to use for Preview purposes. This generally should be lower than the final full samples. To actually see the preview renders, you’d go to the 3D viewport, and change the Viewport shading type from the default ‘Solid’ to ‘Rendered’. Just in case I confused you, Preview renders show how your world will look when rendered in real time! This is the cool thing about the Cycles render engine. You can visualise in real-time what your scene looks like with all the materials and the lighting all calculated in real time. You can get faster previews using your GPU instead of your CPU. GPU can also speed up your renders MUCH faster than your CPU. To change to GPU rendering, all you need to do is go to User Preferences -> System tab -> Under compute device -> Change to CUDA (or whatever your GPU is) and select your GPU. Another important setting is Performance. 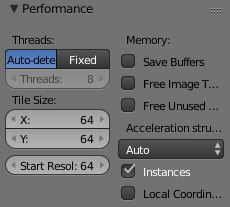 Under performance, you can set things like how many threads you want to render with. If you have one of those powerful Intel Quad-Core Processors, you will have 8 threads available to you. That is, your renders will be 8 times faster than using 1 thread. The more threads you have, the better. Auto-detect will automatically detect how much threads you can use. Personally, I always manually set fixed number of threads to 1 less than my maximum. This is so that I can work on something else while my epic film is being crunched. When I use all threads, I find that my PC becomes slow and laggy to work with. And that’s it! 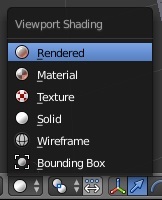 These settings are all that is needed to configure your renders. Depending on what settings you choose, setting up for higher quality will usually slow down render times and setting up for fast render times will compromise some quality.